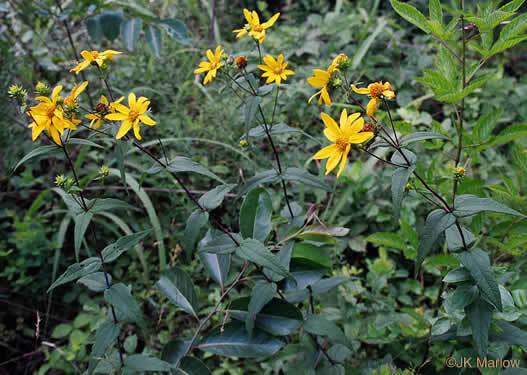 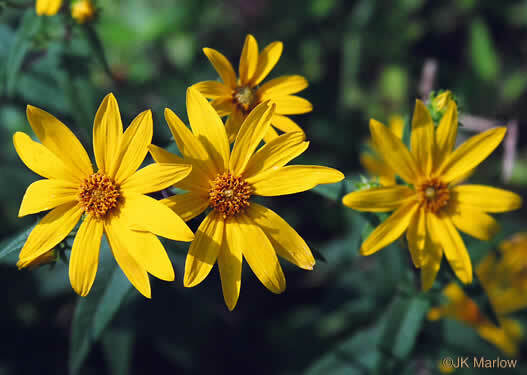 Its widely spreading leaves are commonly at right angles to the stem, per Atlantic Coastal Plain Wildflowers. 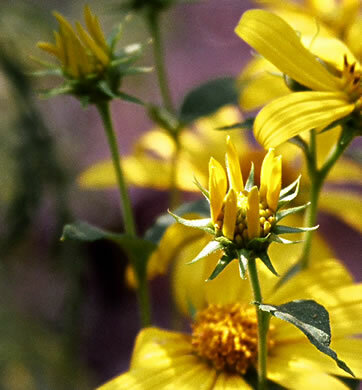 Flower heads composed of a 1/2" disk of tubular yellow flowers & 8-15 rays, per Atlantic Coastal Plain Wildflowers. 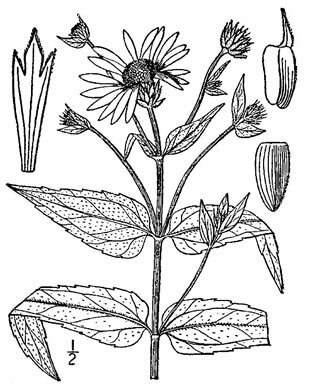 Opposite, virtually sessile leaves with abruptly rounded bases, per Wildflowers of the Southern Mountains. 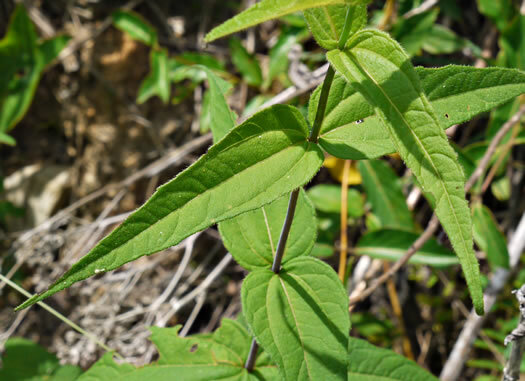 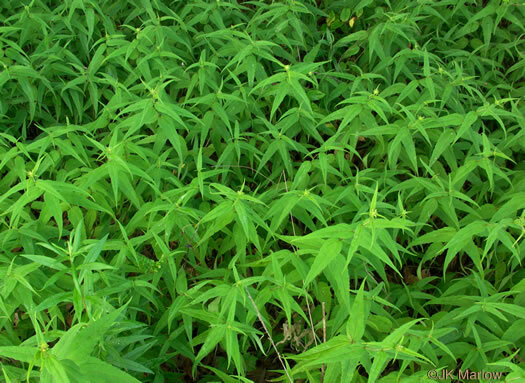 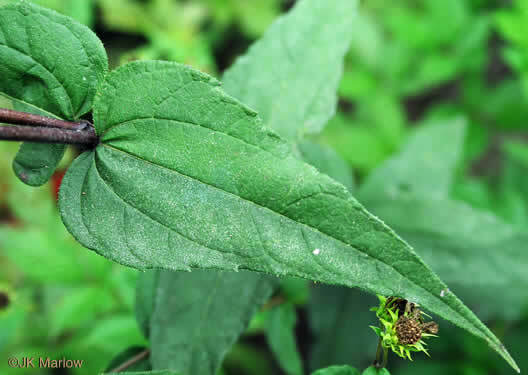 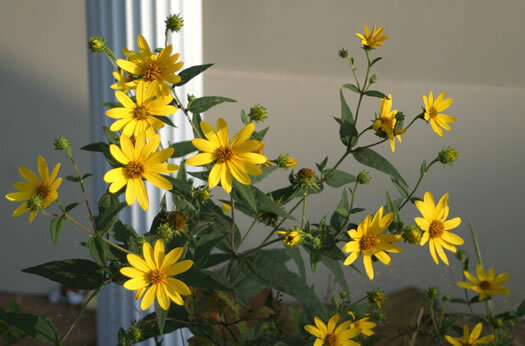 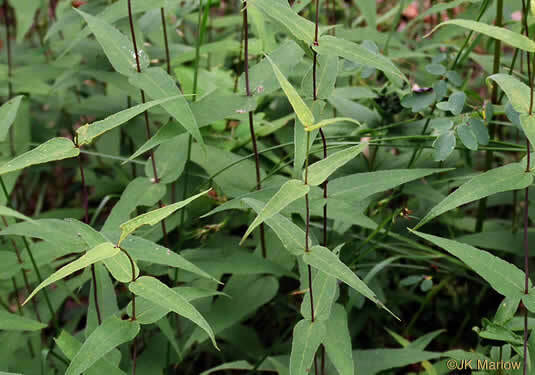 Leaves do not clasp & taper gradually to a long tip, per Wildflowers of the Southern Mountains. 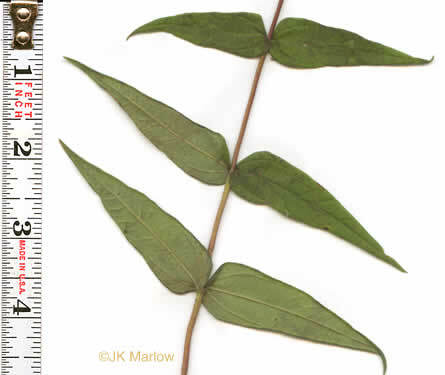 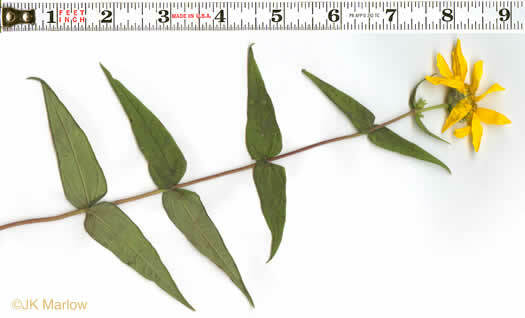 Leaves sessile, the 2 lateral veins diverging from midrib at very base of leaf, per Weakley's Flora.